Solar is booming in the U.S. The price of installation and maintenance for residential and utility-scale projects has dropped. Major corporations (IKEA, Macy's, WalMart, Costco) have promised to invest in solar-powered facilities. And thanks to Congress' extension of the federal investment tax credit, government funding will continue to subsidize the industry's growth until at least 2020. Right now, solar is the golden child of renewable energy in the U.S. But its real promise lies in off-grid, small-scale products available to the most remote regions of the world. About 1.2 billion people still live without access to a power grid. Another billion are connected to a national grid system that provides inconsistent power. When rural households don't have access to a stable power source, their life shuts down as soon as the sun sets. Children can't study, shops can't stay open, and households can't function because they don't have an adequate source of light and power. Private investors hope to fix this problem with off-grid solar products. Forget utility-scale solar systems used to generate electricity for entire cities. Forget rooftop panels used to power America's McMansions. These solar products are made to light up a modest home or charge a mobile phone, and they're small enough to hold in your hand. Pico-solar lights run on batteries charged by a portable set of solar panels. These compact systems generate enough electricity to power LED lights, fans, radios, TVs, batteries, and chargers for mobile phones and other electronic devices. Pico-solar lights have greater upfront costs than traditional power sources like candles or kerosene lamps. But they don't require fuel (just a free dose of sun), and they only need to be replaced every four years. Plus, unlike burning kerosene, charcoal, and biomass, these solar-powered sources don't emit toxic fumes to give off light. 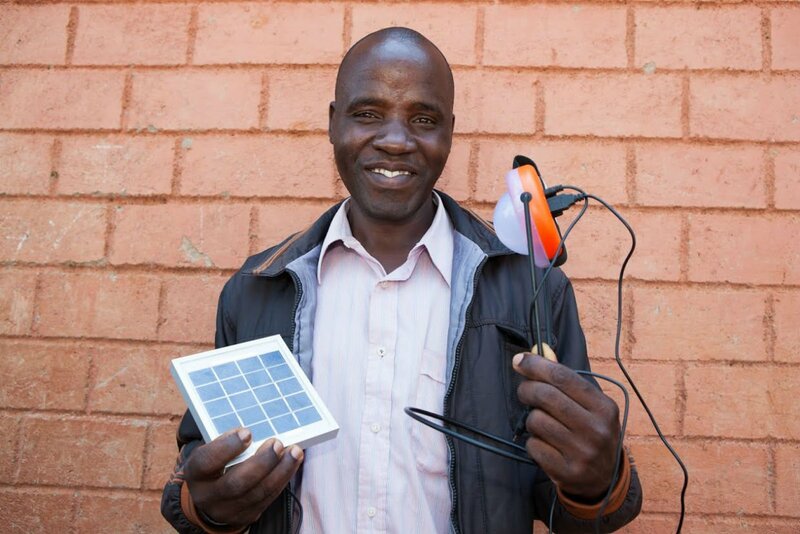 With solar lighting, families can save around $70 a year, boost productivity, and improve indoor air quality. Five or 10 years ago, the off-grid solar market was almost nonexistent. It would have been considered too expensive to take off in many underdeveloped communities. Now, total investment in the sector has reached $511 million. By 2020, it's expected to balloon to $3.1 billion. In fact, according to a February 2016 report by Bloomberg New Energy Finance, almost 100 million households worldwide could power their homes with solar panels by 2020. 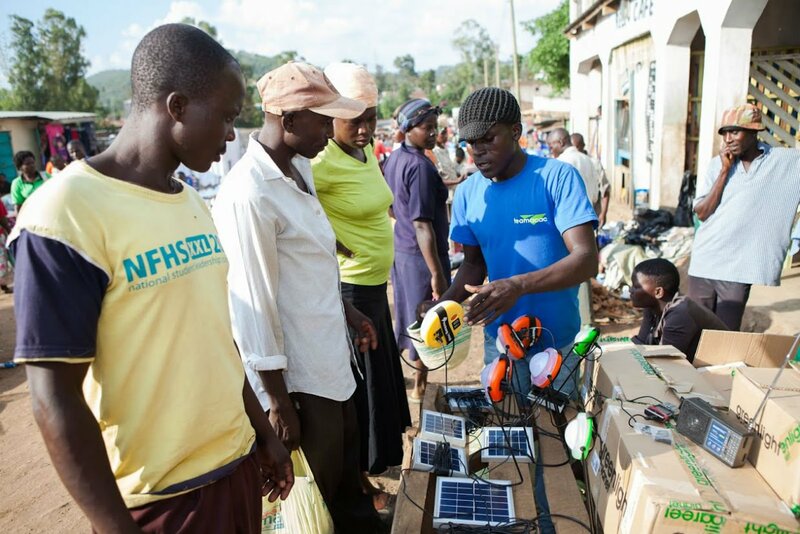 East Africa, South Asia, and Southeast Asia are the most promising off-grid solar markets because these regions hold the largest populations living without access to a stable power supply. With investment from private companies, governments, and nonprofits, off-grid solar products could light up millions of homes in a matter of months or years, not decades. Handheld solar products don't require intensive maintenance or expensive fuel to operate. They just need the sun — an abundant resource in regions with the greatest need for affordable, off-grid power. In the U.S. and other industrialized countries, federal governments have assumed a large amount of financial risk by providing subsidies to solar investors. In developing countries, the best thing governments can do is "get out of the way," said Ethan Zindler, head of analysis at Bloomberg New Energy Finance (BNEF). To power the millions of households living in rural areas, Zindler said governments should avoid imposing high tariffs on imported solar goods and allow local businesses to operate without having to pay off bribes or taxes. In other words, it will take a village to help the off-grid actually take off. For at least the next five years, the U.S. solar industry will continue to expand. But in the next five, 10, and 20 years, the world's developing nations could provide the biggest demand for solar power systems. "Solar's real promise lies in off-grid, portable products made available to the most remote regions of the world." Forecasters are predicting a return of the polar vortex this season. It often takes a large-scale event for anyone to hear about a natural gas pipeline break, but they happen with alarming frequency.